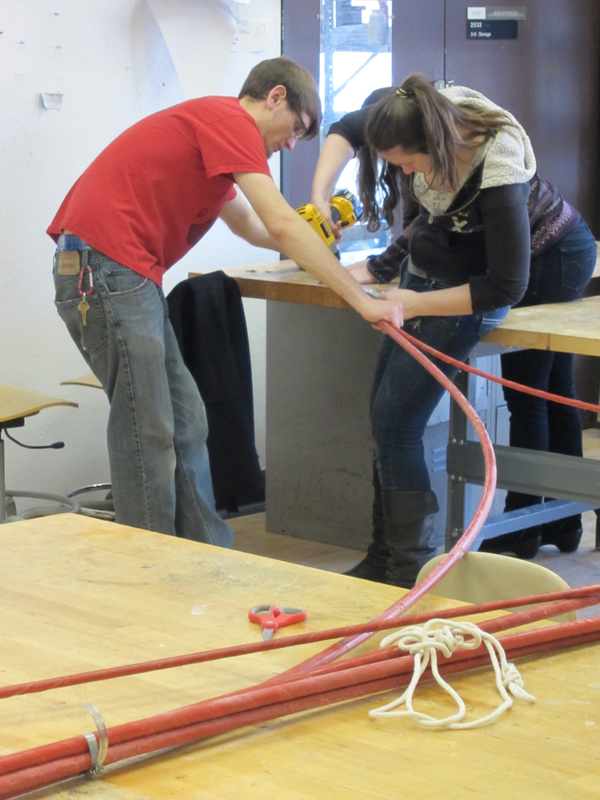 Based on my previous work using fiberglass as a flexible framework for temporary structures, I was asked to run a workshop using fiberglass rebar. 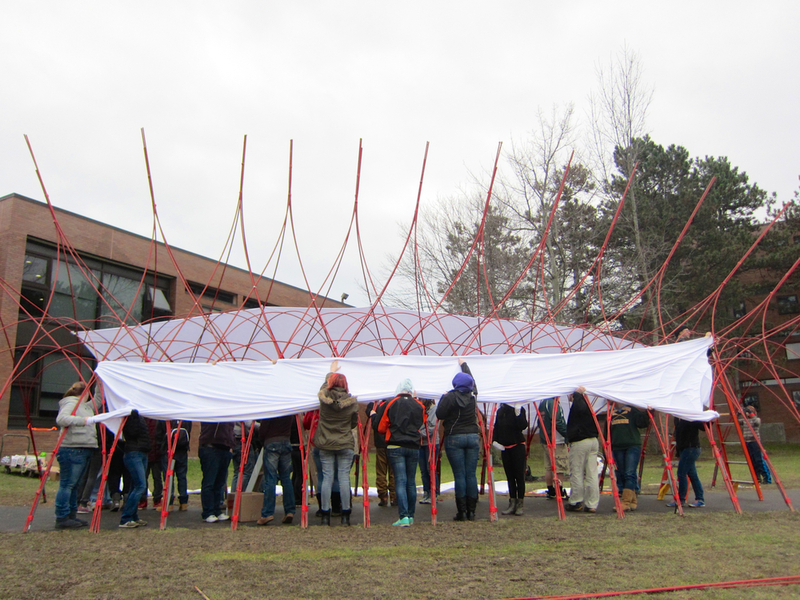 Because this flexible material is both highly responsive to forces, and is also predictable, it serves as an excellent building system to discuss the way in which design may work with the active flow of forces in structural designs to students in architecture. 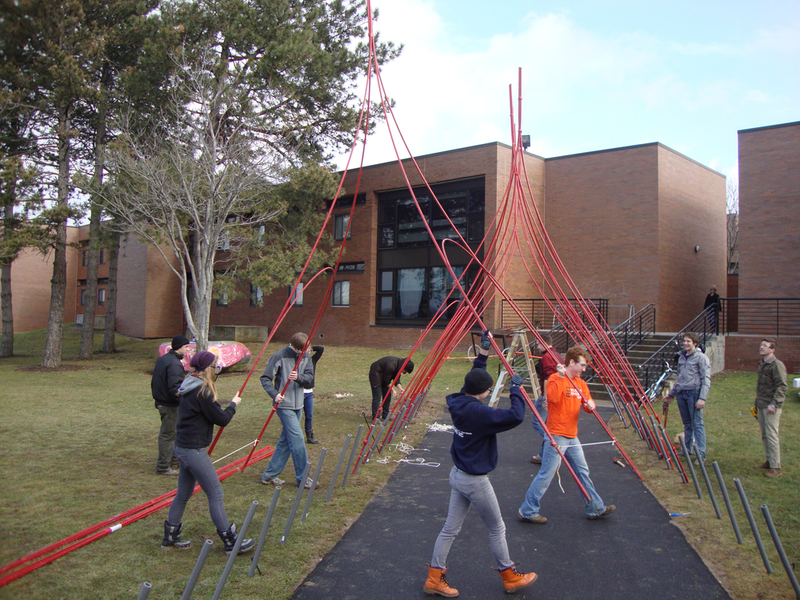 The challenge however was that the students at RIT were to construct the frames we would use to build the full scale project before I arrived. As a result I had to find a way to show them how to pre-assemble these strange and wobbly frames in a simple and predictable way. By using the actual material, I used photography to record the series of “actions” that were required to assemble each frame (fig. 1). These images, along with particular dimensions communicated all that was required to generate complex forms, simply. 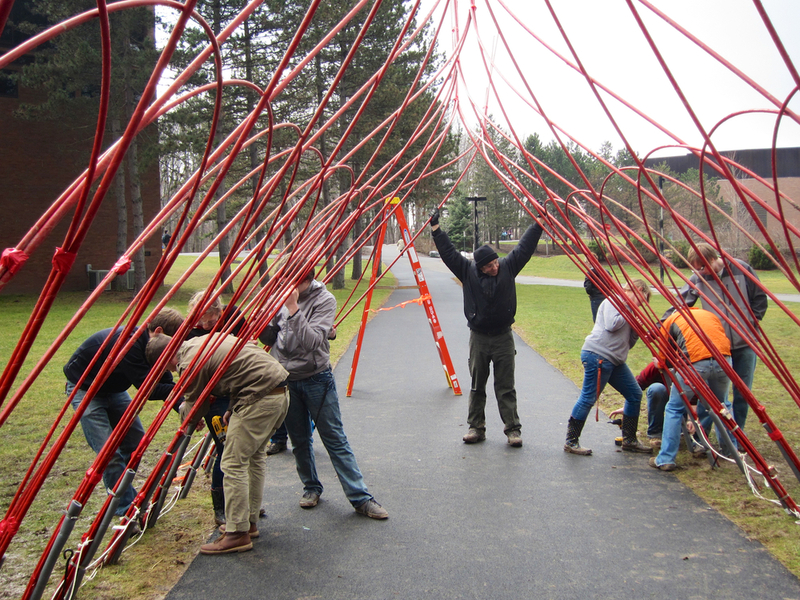 The project was carried out over the course of three days and the structure was built in ten hours with twenty students with little construction experience.